In March of 1999, while at a vibrational essences conference in southern England, I received an inspiring flow of information during a meditative walk through the awakening spring gardens surrounding the conference center. The transmission seemed to be suggesting to me that I could be returning to Norway to walk again in Jotunheimen, among the mountains, this time for the purpose of collecting a new series of essences. I returned to Norway and continued with my writing and healing work, and within three months I had moved close to the mountains. In my initial reflections on this process, it seemed to me that perhaps I was being asked to bring back flower and gem essences from within the heart of Jotunheimen. Within a few weeks of sitting at the southern edge of this natural wonder, it became clear that I was being asked to collect essences of the type generally called "environmental essences." These are essences which are received from the natural world directly into a prepared bowl of water in a harmonious, cooperative and co-creative spirit, at a particular place and time. Often these are made by identifying specific elemental qualities in the environment, and asking with love and blessings that these qualities be received by the water, which the water is naturally happy to do, as that is its essential nature. It was not long before I received specific information about the first trip into Jotunheimen, in response to asking for some form of initial guidance by map dowsing. In the initial sessions done in this manner, the guiding information referred to these essences as "Hyperspatial Essences," and "Oneness Mother Essences." My current perception and understanding is that the term "hyperspatial" has to do with receiving the essences in a state of stillness, emptiness, and compassionate dedication to Oneness in the spirit of the Midway Path. My sense was to walk the mountain trails in this state of being, and discover the rest of the particulars on the path, so to speak. Immediately upon arriving at my first overnight destination, I was taken up the famous trail known as Besseggen, which was not in my plan as the first hike. Nonetheless, I was soon on my way up the steep trail with my glass collection bowl, walking into a very strong and cold wind from out of the West, the direction from which most storms approach these mountains. In one sense we are not "making" these essences, we are receiving them already complete, into a human grail cup or chalice. It seems that the simplicity of the attunement and reception is the direct result of the manifestation of our inner observer, Godself, Zero Point, wormhole, or pineal activation -- one can choose the terms that resonate with one's current understanding(s). The process, rather than being elaborate, is simply one of letting go, surrendering, and emptying. The Zen story that tells us about the relative ease of filling the empty cup seems to point clearly to this way of being as a key to reception. One is resting in stillness, perhaps with gratitude, simply receiving, and then carrying the resulting hyperspatially-received water down the mountain with dedicated steps. "Here, every stream is a remedy; every stream is an essence." Having experienced many times the purity of nature in the higher reaches of the mountains on this planet, it is my sincere feeling and hope that in some way those individuals who are actively working with the goal of a peaceful and noble mind will experience a deepening through contact with these essences. For those who as yet do not have experience with these places on Earth, I wish that these words and these essences may provide and open a doorway through which you may step as you travel your chosen path. Besseggen - "Crossing the Threshold"
This essence was received as water from a cascading waterfall high on Besseggen, overlooking Gjende Lake, and carried to a cliff overlooking the lake and surrounding mountains during the approach of a snow squall, two days prior to the full moon of July 1999. For the "dweller on the threshold," or for crossing the threshold, stepping through a doorway in consciousness into overview understandings. Hyperspatial awareness and realities are opened up. 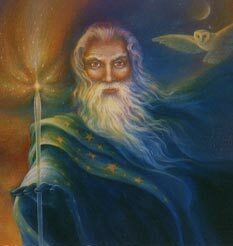 Useful when the events of the awakening dream seem to become frightening; feeling as if one might fall from a great height if one begins on this path, or as if one may fall once ascended to the place of overview. Healing resonance with fear at the beginning of a challenging journey, or an impending transition which seems overwhelming. Realization that a wider overview releases fears through shifts and expansions in perspectives. When one doubts one's own capability to walk through a doorway to face life's next challenge or adventure associated with quantum-shifts in consciousness and responsibilities. For grounding the "highs" of life with responsibility for co-creating new realities. Tjï¿½rnholet - "The Sea of Courage Within the Vulnerable Heart"
This essence was received from the crystalline waters flowing in between the mountains of Hestlaegerho and Nautgï¿½rdstind (the horse and the cow), and carried to the top of the rocky ridge wall of a heart-shaped opening known as Tjï¿½rnholet, within view of Glittertind, the highest point in Norway, on the day before the full moon of July 1999. For activating, opening and balancing the Heart and Heart Chakra. When one is learning the relationship of courage with the willingness to be vulnerable. Finding the strength to remain open when becoming aware of the vulnerability of the Heart. Knowing that many guardians assist those on the path of surrender to All-Oneness; supporting the remembrance of Oneness, and resonating with the coherent Heart energies at the moment of compassion. When one needs to find the inner resources which are latent in the Heart, or to provide the courage to maintain the compassionate view. Whenever obstacles seem insurmountable, or beyond one's ability to remain in compassionate commitment. Uniting the trinitization of Life, Love, and Light centers to return to the natural state of Oneness by helping activate the wedding ring of the Heart center. Allowing the Heart to receive the wisdom of the Godself through the multidimensional bridge, soul and crown, and allowing the Mind to appreciate the power of compassionate love. Whenever there is a lack of trust in the Heart as a worthy guide. Supports the process of recovering awareness of the Heart's desire before it was constrained by fear. Glittertind Summit - "Hyperspatial Gateway: Crystal in the Crown"
This essence was received in the crystalline snowfield at the summit of Glittertind, the highest snowy point in Norway and Northern Europe, on the full moon day of July 1999, under a cloudless sky. Resonating primarily with the pineal gland, and secondarily with the pituitary gland, it supports purity of crystalline manifestation of the pineal gland as hyperspatial transducer of superconductive consciousness emerging into potential for physical manifestations. Assists in opening and maintaining the clarity of the overview beingness, especially during the presence of emotional waves which may accompany major expansions of consciousness. Balancing when on the edge, or on a peak, when the full spectrum of diversity impacts on consciousness from the point of view of the "overview," and ecstasis floods the awareness. Acceptance of the Earth plane of manifestation, when the thought of descent begins to feel undesirable or heavy, and there is a clinging to the "high." Emotional reactions to incarnation, "anger at God," non-acceptance of sense of localization on Earth as a human being. Co-creating All-Oneness being through the dedicated practices of one's own spiritual path, whatever they may be; while receiving the inspiration of beauty and emotional joy as both a starship ride, and as a reminder of the importance and necessity of such practices. Facilitates skills such as clairvoyance and telepathic communication. Galdhï¿½piggen Summit -"Hyperspatial Gateway: Grounding The Crown"
This essence was received in the crystalline snowfield at the summit of Galdhï¿½piggen, the highest rock mountaintop in Norway and Northern Europe, on the first day after the full moon in July 1999. Supports grounding of the highest energies accessible to the physical vehicle. Assists whenever there is resistance to becoming fully embodied in the earth plane of existence. Resonating primarily with the pituitary gland, and secondarily with the pineal gland, it supports the process of translation of the brow and crown chakras, as they translate individualization of All-Oneness into geometry, electromagnetic field activity, neurotransmitter chemistry, and other aspects of the mental, emotional and physical creation. Glacial Interior - "Acceptance: Uniting the Polarities"
This essence was received inside the Svellnosbreen Glacier, under the summit of Galdhï¿½piggen mountain in early August 1999, just prior to the Galactic Crossing. In the interior of this glacier, water is held for hundreds of years, primarily as ice, but also in liquid form during the brief summer melting period. The pressures inside the glacier are great, and one has the distinct impression of being simultaneously at the apex of these mountains in the crown of Norway, and at the bottom of an ocean, held in an air bubble in a vast frozen sea. This essence assists in uniting the polarities of life -- sky and earth, spirit and body-mind; it assists with integration of complementary aspects. Excellent for those working with core energetics or depth psychology, or where there is deep diving of the soul in exploration. Assists if one encounters despair while exploring the heights; and supports us to find patience with situations in which we feel constrained or perceive that things are moving 'slowly' or are stagnated, frozen and unyielding, etc. Helps us to remember that "when you reach the top, you're on the bottom." Glacial Stream Flow - " Melting: Release and Celebration"
This essence was received from a cascading glacial stream emerging from the Svellnosbreen glacier under a cloudless sky on a warm August, 1999 day in Jotunheimen, this essence carries energies of the celebration that accompanies release from a long period of confinement. Assists that which is frozen to allow melting, when the time comes for liberation from the former pattern or habit. Useful to assist transformation of the avoidance of responsibilities into peaceful acceptance of them, by supporting the understanding that celebration may be the child of commitment., and that all things have their season. This essence embodies joy, freedom, and delight in movement, and may be useful for working with movement, either as artistic expression, or in expressive therapy. Tree Line - "Realizing Optimal Potential Under Stressful Conditions"
This essence was received at the tree line, from a cascading stream on the side of Galdhï¿½piggen mountain, at sunset on a late summer evening in August 1999. Assists one to strip away what is non-essential in order to discover one's fundamental inner strength and resources. Helps one to realize adequacy when there are feelings of inadequacy. Helps one to realize optimal potential despite the periodic need to reign in expansion; especially helpful during periods of extreme stress coming from one's surroundings. Finding hidden or unexpected capabilities when one feels beaten down by the forces of life's adverse situations, tests and/or stresses. Promoting receptivity and sensitivity to subtle energies, to assist in clarifying perception. Shielding or protection from exposure to psychic or energetic attacks. Sensations of separation, loss, and grief are transformed into non-attachment, liberation and peace. Useful for farewells and homesickness, especially when one is located remotely. Thor's Hammer - "Cooperation and Unity"
This essence was received at the base of Thor's Hammer mountain at the western portion of Jotunheimen, during the Galactic Crossing event in August 1999. Assisting one to work with/in group consciousness, whether in cooperative projects, or in group process activities of any kind. Helps assist one to find harmony when working with a diversity of skills and points of view of individuals. Eases and spiritualizes the sense of individualization, softening the edges of ego, and connecting and harmonizing the relationship of the third, fourth and sixth chakras. Grail Well - "Peaceful Source"
This essence is received from a spring source emerging at the base of a solid-rock hill which faces directly towards the original Tï¿½nsberg, Norway hilltop settlement, the established pilgrimage site of Tï¿½nsberg's St. Michael's stone chapel. It is the carrier of the "mother essence frequency" in the sense that it links and grounds the entire series of Nordic Essences to the Earth-plane manifestations of the lineage of the Midway Path. It serves as the "rock bottom" essence, or foundational essence of the series, and connects them all in service to All Oneness. It is the energy which grounds itself in between the poles of duality, and anchors the series in its Earthly service. This essence helps us manifest tranquility and grounding in the midst of chaos, confusion and instability. It assists us to recognize our fears, both hidden and known. Supports awareness of our own motivations, and facilitates greater acceptance and/or release, as may be needed. A powerful essence for supporting the release of fears based on the concept of "past-life traumas". Helps to see that "all is for the best" in the Earth story, and to move into a deeper spirit of peace, dedication and service. Copyright 1999-2006, Randall Barolet. All rights reserved.